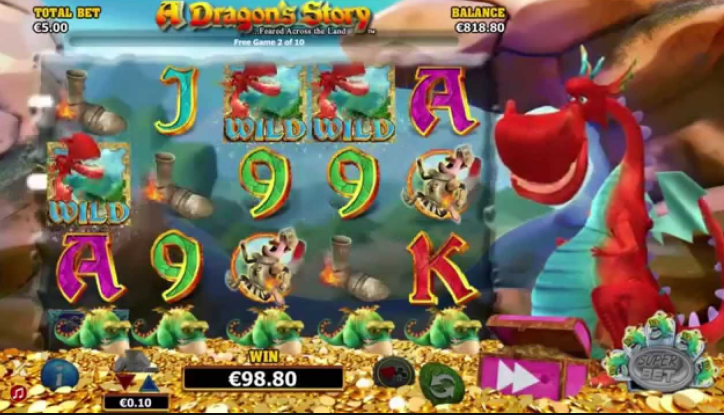 Here's a superb new online slots game from NextGen Gaming which you can enjoy playing. Legend tells of a fearsome beast that lives beneath a mountain, sitting on a hoard of treasure so massive that countless brave knights have ventured to slay him and reap the rewards. What they don’t know, is that he’s a friendly dragon, and willing to offer his online friends some of his cash in exchange for their help. We’re used to seeing the story from the side of the knight, but in A Dragon’s Story, Ruff the Dragon is the real hero. This online slot sees you pairing up with Ruff to defend his treasure from the Brave Sir William, a well-intentioned but bumbling knight. 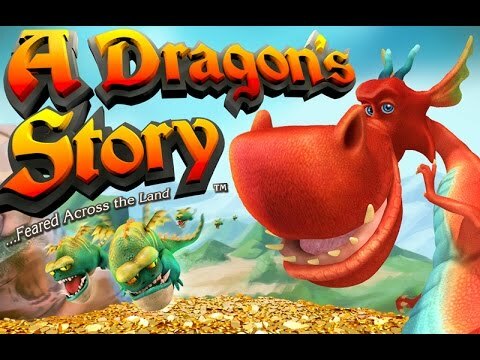 It’s bound to be a humorous (and possibly lucrative) adventure in this slot games online! Their games are always a delight to look at, with high-res graphics and a slick finish, and it’s this attention to detail that makes their slots offerings so very popular. If you love promo's, check out Slotsbaby today. A Dragon’s Story finds us in Ruff’s lair, knee-deep in golden treasure. In the background, we can see the rocks of the cave, and beyond the cave mouth, a pleasant mountain scene. Ruff stands to the right of the reels, looking proud, and defensive of his hoard, but not at all fearsome. The symbols are suitably Medieval, and include red and white shields, scorched armoured shoes, and ornate letters and numbers. The background music, featuring drums, lutes and pipes, sets the scene without feeling intrusive. WILDS – the WILD symbol, featuring the Ruff the red dragon himself, substitutes for any symbol other than SCATTERS. SCATTERS – the SCATTER symbol is a beautiful pink jewel, and 3 or more of these awards 10 Free Spins. LITTLE DRAGONS – this little fire-breather of a feature adds another level of adventure to the game. Little Dragons sit below reels and occasionally burn symbols with their fiery breath to make them WILD, offering more opportunities at win lines. BRAVE SIR WILLIAM BONUS – after any paid spin, the bumbling knight Brave Sir William may make an appearance. You have the chance to lob a fireball at him, prompting him to drop some treasure (which of course you can then pocket). 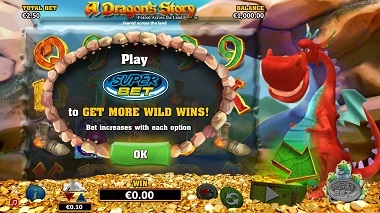 SUPERBET – this three-tiered feature gives you the chance to add more little dragons to your reels, increasing the theoretical return to player. GAMBLE – you can gamble your wins by selecting a card suit or colour, doubling your win if the colour is correct, and quadrupling it if the suit is correct.